Life is full of changes and those changes can sometimes be difficult to deal with. These adjustments range from major ones such as deciding to step out of your comfort zone by dressing differently or interacting with someone you normally wouldn’t to the much more major ones like moving or starting a new relationship. Regardless of the adjustments you might be going through, it’s important you have someone you can rely on to talk to. At Affinity Counseling, one of the many forms of therapy we offer is group counseling. A support group will help you break the lonely cycle and find the best version of yourself. Find out more about how support groups and counseling can be the right path for you. 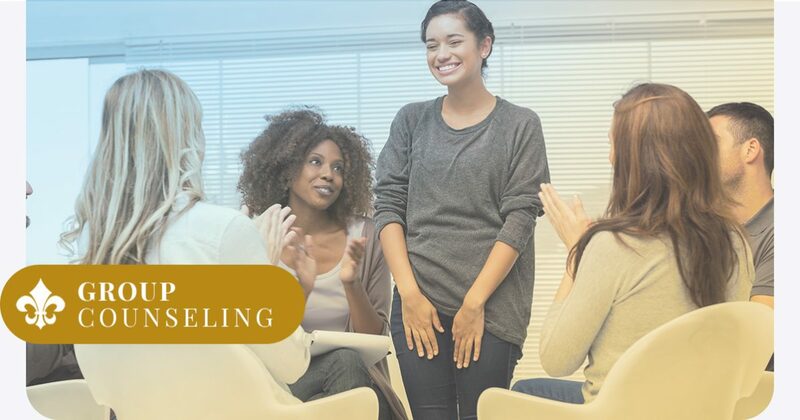 Group counseling is a support group of six to eight people who meet with a therapist to talk about what concerns them. Each person meets face-to-face and they discuss opening their thoughts and feelings. A support group allows people to listen to what other members have to say or what they’d like to do to rectify a situation in their lives. Since it is a group of people meeting there are interactions that allow the members to be more effective in life. For example, the interactions might include increasing the understanding of self, other people, exploring talking to new people, finding effective ways to be around others, and learn more about interacting. Everything discussed in group counseling is confidential and each member must be committed to this. Additionally, when you’re in a group when you see a fellow member outside of the group they may not identify them. Group counseling works by free interactions. Members will recreate patterns of interaction that occur outside of the group and then bring them into the group so that meaningful change can take place. Group counseling is centered around people learning how actions have consequences and how behavior can affect someone else. Support groups are a safe place to learn and experiment with different ways to treat other people to see what works or isn’t effective. The interactions can become successful or they can be strange because of what a person may be feeling. Additionally, during group counseling people take note that they aren’t alone in feeling the way they do. They aren’t as isolated as they previously thought or they aren’t the only ones who are going through certain situations. It’s an effective way to show people that they can interact and trust people because everyone is going through their own set of internal struggles. In support groups, you’ll discuss what brought you to Affinity Counseling. You’ll discuss what worries you, what concerns you, and what bothers you. You’ll learn about your own self-identity and how you’re affected by things in your life. You’ll reveal your feelings and explore different ways of having positive relationships with those in your life. Joining our support group at Affinity Counseling is a great way to explore your inner self and what makes up your self-identity. We’ll help you explore your internal struggles and help you communicate with others. If you’re interested in working with our group counseling group, then contact us.